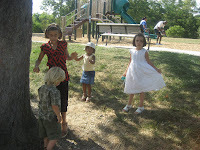 Since the wedding was help outdoors at a park there was a playground right next to where the reception was being held! Every wedding should be held outside with a playground! 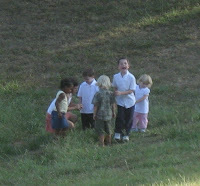 The kids had a blast playing together! Isn't it great to see how kids can just pick up and play together like best friends even when they haven't seen one another in a long time?! 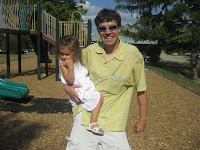 Brandon and Greta on the playground! Emma, Emerson, Indira and Warner playing on the playground. 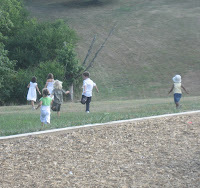 Kids running down the hill to collect dragon food! 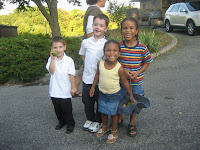 Luke, Logan, Matteus and Indira getting 1 last picture before we left.